When we were visiting Colorado, it was hard finding a restaurant that fit my diet. Not because there weren’t any, but because there were so many choices! 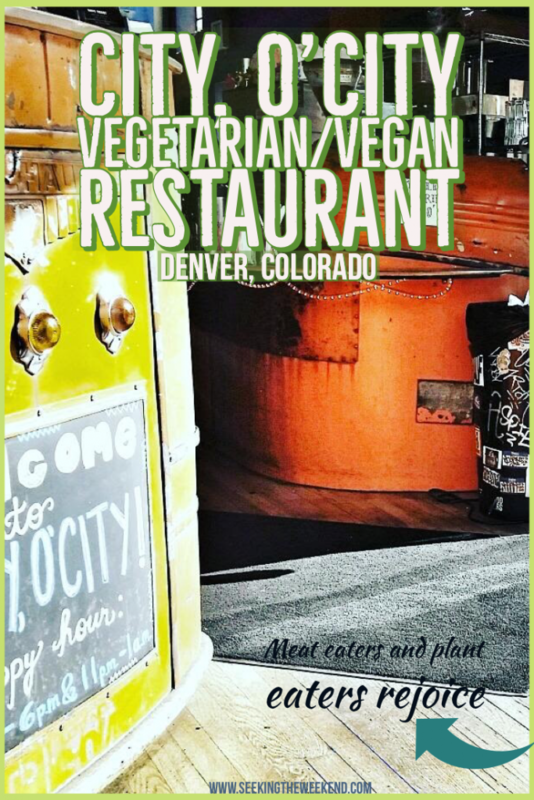 Vegan and Vegetarian restaurants are becoming more and more popular and being in Denver is no exception. I searched online for a good hour trying to choose which one I wanted to go to. 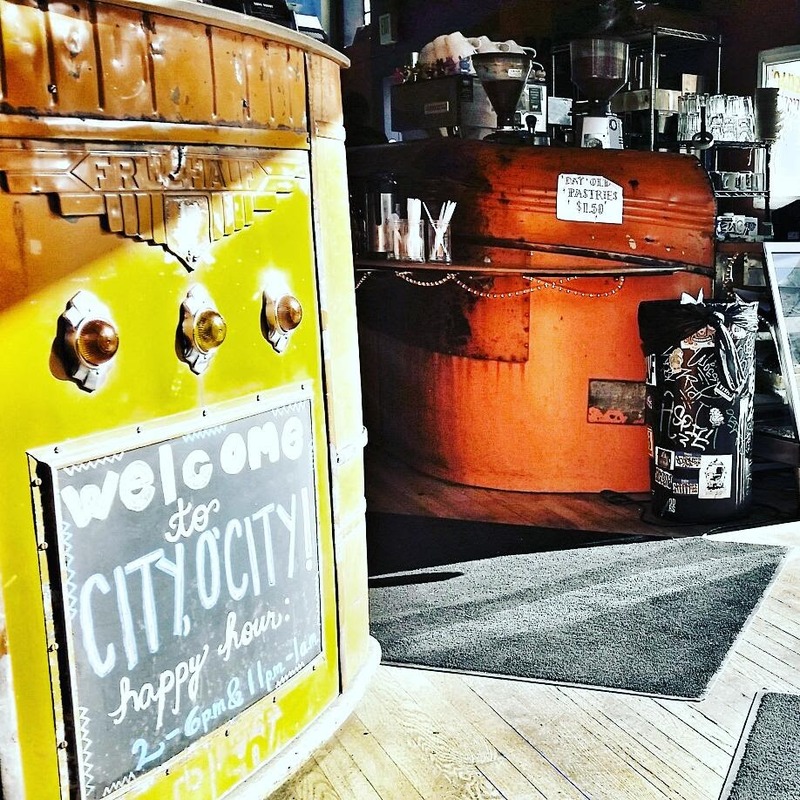 We ventured our way to City, O’City. 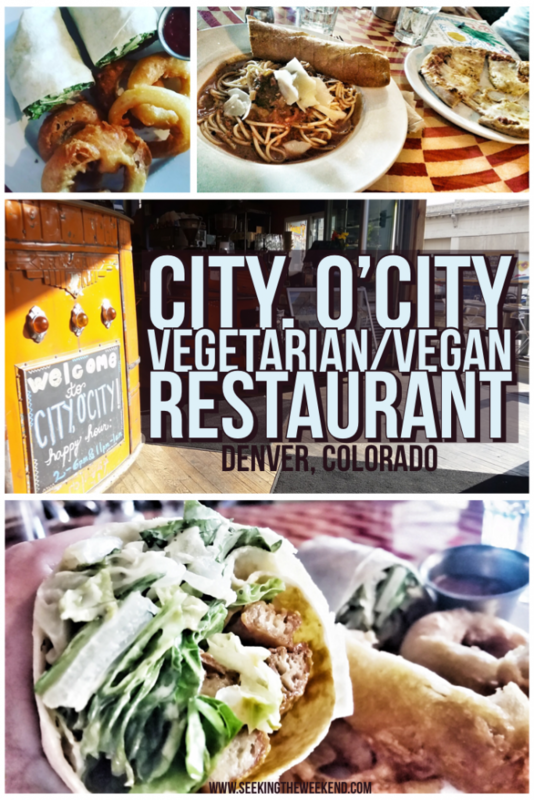 City, O’City is a vegetarian and vegan restaurant that takes your favorite dishes like Chicken n’ Waffles, Spaghetti w/ meatball (to name a few) and makes it vegetarian and vegan. Let me not fail to mention, it doubles as a coffee-house and bakery. 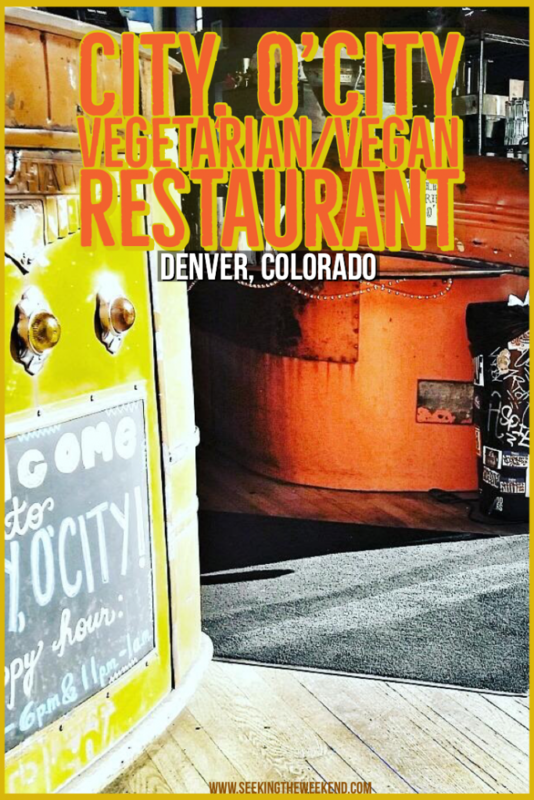 Not only do they accommodate both vegan and vegetarian diets, they also have gluten-free, and soy free options. 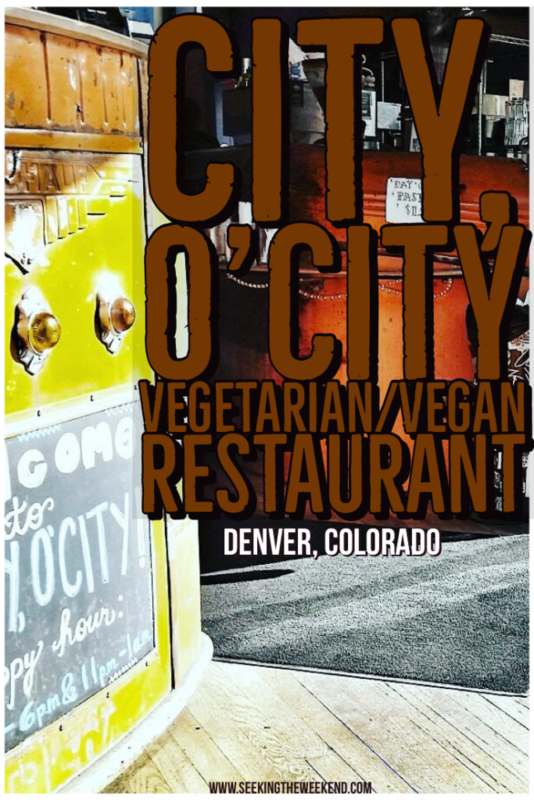 Located in the heart of downtown Denver, City, O’ City is a restaurant even meat-eater would love. I loved the eclectic charming atmosphere when you entered. To the classic old hardwood floors to art on the wall. Even in the restrooms, where they allow the patrons to be the artist, allowing them to dabble on the walls. Although we ate dinner there, the breakfast menu looked amazing! As I mentioned above, the offer Chicken n’ Waffles. The “chicken” is made with cauliflower and the meal is topped with carrot bacon… I said carrot bacon. I really want to return to try it. It sounds interestingly amazing. The waffle menu went on and on, the choices again were intriguing and just another reason to return. The children’s menu was a basic kid’s menu serving classics like cheese pizza (either vegetarian or vegan), of which my son ordered. He demolished it. Classic. My boyfriend tried the Spaghetti w/ vegan meatballs. 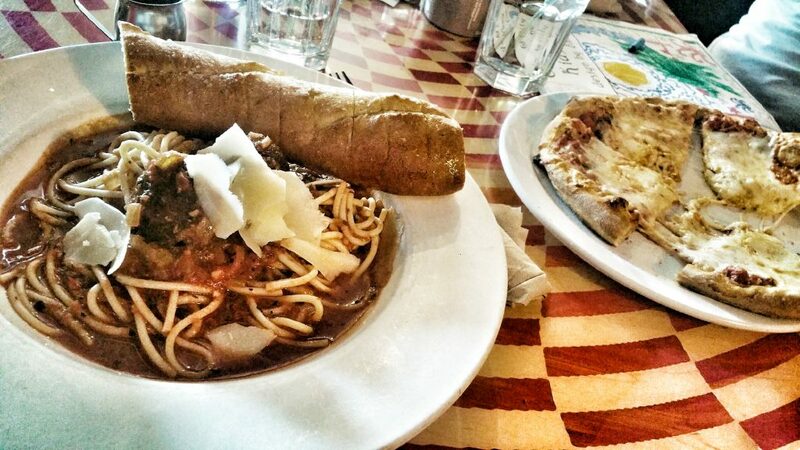 It was good and filling, but I must say the meatballs had an overpowering flavor. 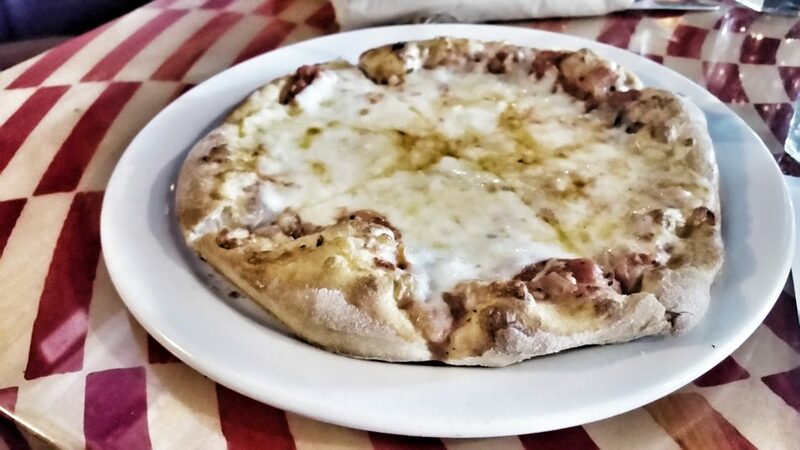 I tasted a strong wine flavor, of which I didn’t prefer, I much rather have a hint of it with typical Italian herbs. 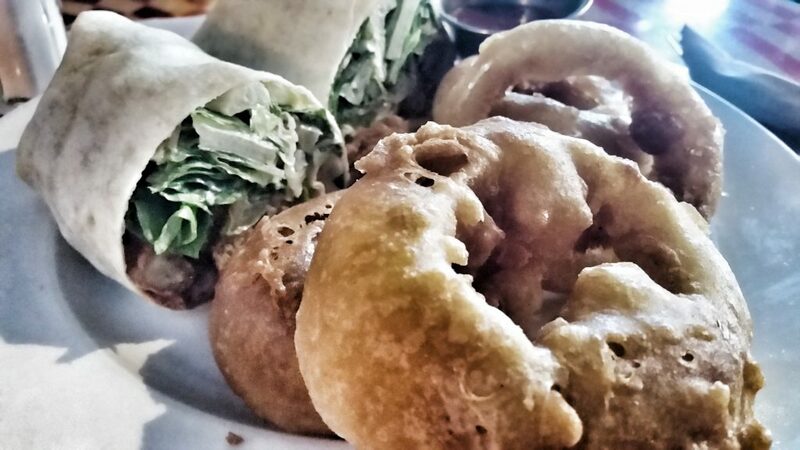 I tried the buffalo wrap with onion rings. 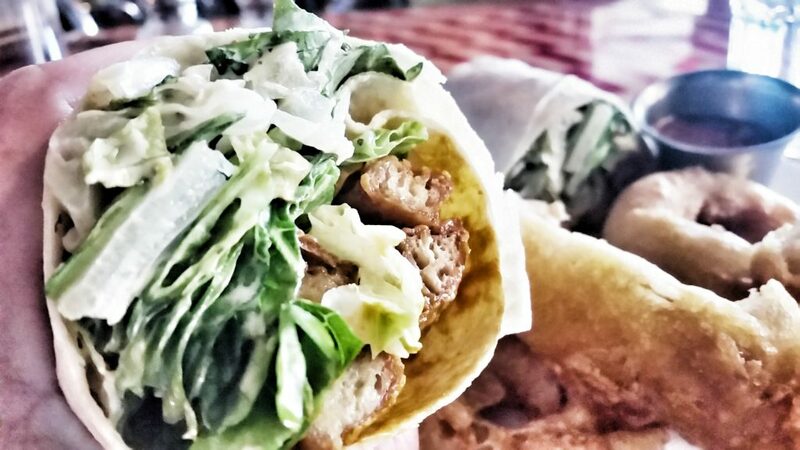 In place of using chicken in the wrap, the use setian dipped in buffalo sauce. It was actually very good. With most buffalo wraps, the buffalo sauce flavor takes over the other flavors, so I think it would be hard to not like it when using a meat alternative that you’re not use to. It was my first time eating setian, and it was okay by me. The onion rings were HUGE. I mean…HUGE. I am a lover of onion rings, and even I couldn’t eat them all. Definitely enough to share. We couldn’t possibly fit any more food in our stomachs. I was totally done and ready to lay down for the day. Yes, the food will totally give you “the itis.” However, if I did want to stay longer, or come back I could have seeing as they are open until 2 AM. The prices weren’t terrible either and the overall quality was great! When we were on our way back to the car, we seen this alley behind the restaurant that was perfect for a photo opp. Here is a little fun that we had. Vegetarian and Pescetarian Eats at Newks!